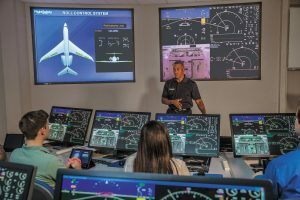 NEW YORK (October 9, 2017) – FlightSafety International announces that it will offer training for the Gulfstream G450™ aircraft at its Learning Center in Wilmington, Delaware. The training is scheduled to begin in the first quarter of 2018 following the installation and Level D qualification of the simulator. 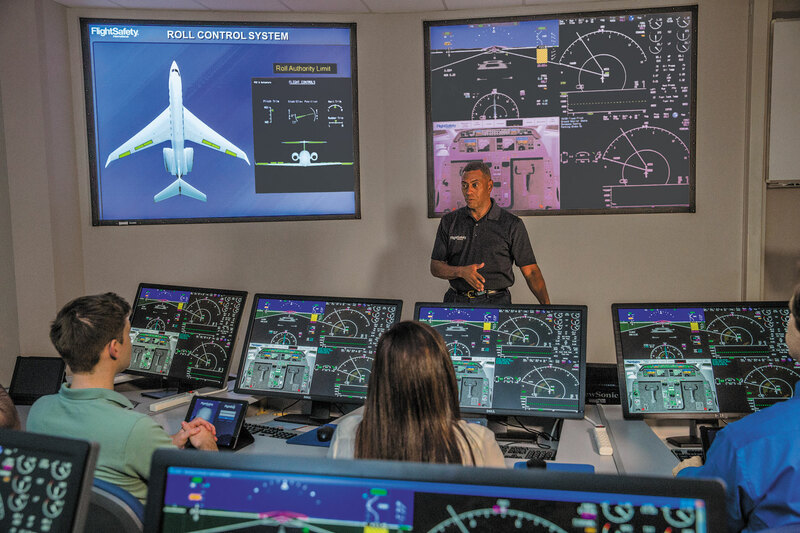 “Offering training for the Gulfstream G450 in Wilmington further demonstrates FlightSafety’s commitment to provide conveniently located programs that meet the changing needs of our Customers,” said Daniel MacLellan, Senior Vice President, Operations. “We work closely with Gulfstream to ensure that owners and operators of Gulfstream aircraft have access to the highest quality training throughout our network of Learning Centers. Our instructors and training program managers in Wilmington are highly experienced with Gulfstream aircraft and currently deliver training for the GIV, GV, G550, G200 and G650. The G450 simulator is one of two currently in place at FlightSafety’s Savannah Learning Center. It will go through a series of upgrades and modifications including the installation of a FlightSafety VITAL 1100 Visual System. The Wilmington Center offers FlightSafety’s series of Advanced Training Courses for Gulfstream aircraft. They include Advanced Upset Prevention and Recovery, Advanced Energy Management, Advanced Rejected Takeoff Go/No-Go, and Advanced Crew Resource Management/ Human Factors Line Oriented Flight Training. The Wilmington Learning Center is currently equipped with 16 full flight simulators for Astra, Bombardier, Dassault, Textron, Gulfstream and Westwind aircraft.